Manic Panic hair colour is the best of its kind. Made from guaranteed vegan and PPD free superior ingredients and never tested on animals. 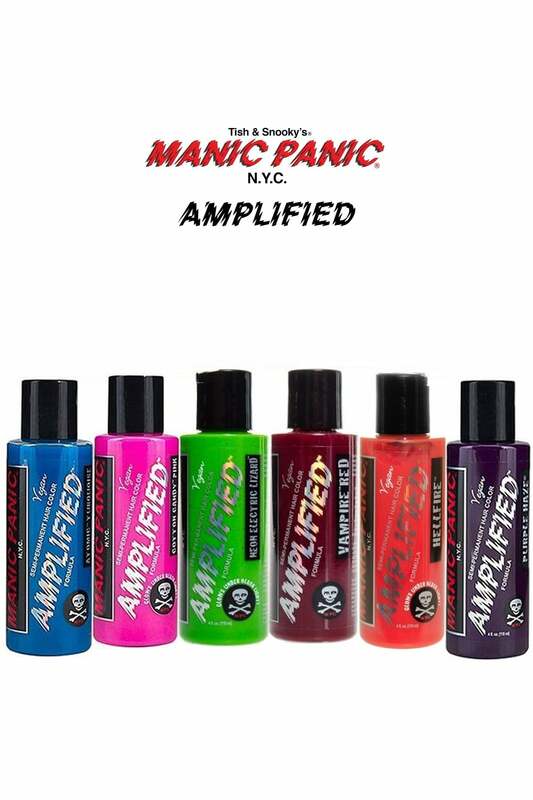 Manic Panic's Amplified Hair Color is stronger and longer lasting (up to 30% longer) and comes in 4oz squeeze bottles. For the best results, pre-lighten hair first using a bleach kit like Manic Panic's Flash Lightning Vol. 40 Bleach.